More often than not, you won't see an accident coming, which means it pays to be proactive and ensure you have the right tools on-hand before you need them. Whether you find yourself in the middle of a power outage or having car trouble at night, you can make sure you're still capable of navigating with these UltraBright 500-Lumen Tactical Military Flashlights, and now you can get a two-pack for $20 in the Boing Boing Store. 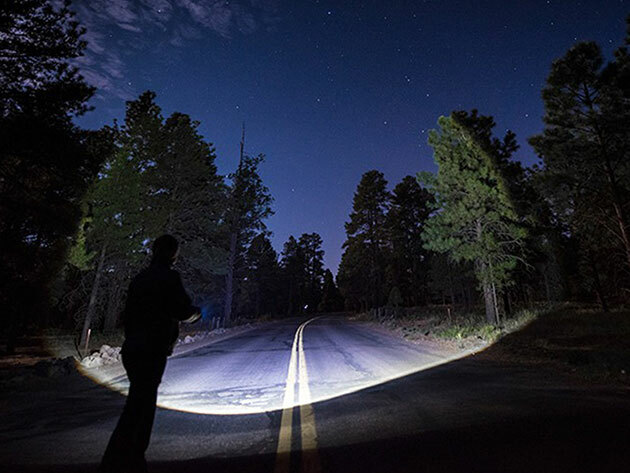 Powered with 500 lumens and an adjustable zoom that provides up to one mile of range, these ultra-bright flashlights are ideal for navigating in the dark. They boast bright, lower bright, and SOS modes, and their wide-working voltage ensures they'll last for a long time. What's more, these flashlights are packaged in an ultra-durable carrying case, so you can count on them working for you no matter how bad the situation is. A two-pack of UltraBright 500-Lumen Tactical Military Flashlights is on sale for $20, but you can take an extra 20% off when you plug in the coupon code, USA20, at checkout.